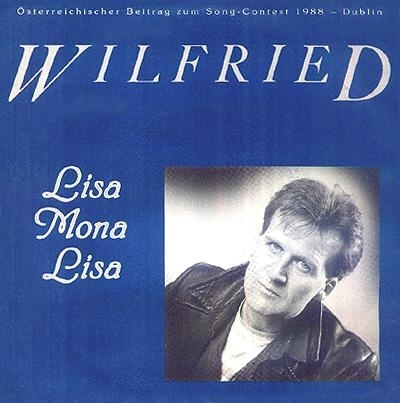 Harald ‘Harry’ Neuwirth was the arranger and conductor of Austria’s hapless Eurovision entry in 1988, ‘Lisa Mona Lisa’, co-written and performed by Wilfried, which obtained no points, finishing twenty-first and last in the festival final held in Dublin. In Ried, young Harald did very well at school, but also excelled in other ways: sports and music. At fourteen, he obtained a second place in Upper Austria’s U18 championships, whilst, as a concert pianist, he was considered a childhood prodigy. 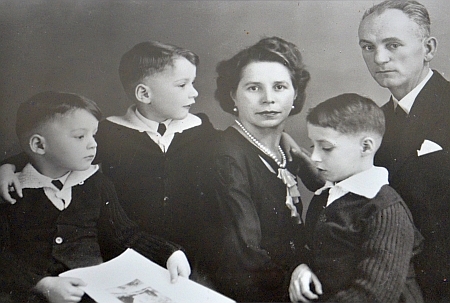 “Well, my two brothers and I were taught how to study carefully”, Neuwirth comments. “My mother did not know much about music, but the piano teacher in Ried told her exactly which exercises I had to do at home – and she simply checked it, always. I began studying the piano when I was six years old. My brothers learned to play the violin and viola instead. Being taught to play a classical instrument was part of a traditional middle-class education in those days. After a while, I was allowed into the amateur symphony orchestra in Ried, a hobby project of the local doctor who was our conductor. As one of the apparently more talented students in the orchestra, I was chosen to play the piano in Mozart’s Piano Concerto No. 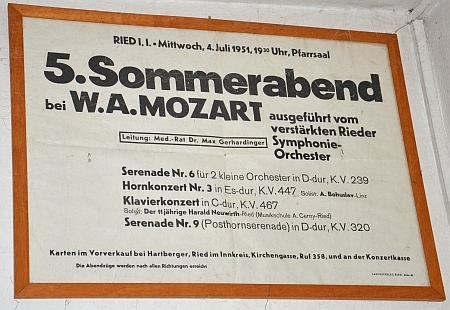 21 for a concert at the local parish hall in 1951. Since our doctor-conductor happened to have good contacts with the Mozarteum, the conservatoire in Salzburg, I was introduced to Walter Neumüller, who was in charge of the piano class in the conservatoire. I was given a scholarship by Upper Austria’s Governor, upon which I studied for two years with Professor Neumüller (1951-’53, ed.). Apart from composing for his consort, Neuwirth also worked as a freelance composer and arranger on a wide variety of projects over the years, including writing the music to radio plays broadcasted by Austrian national broadcaster ORF. 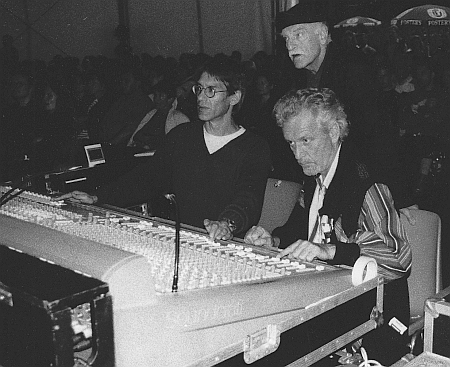 Moreover, he penned the soundtracks to several TV films. 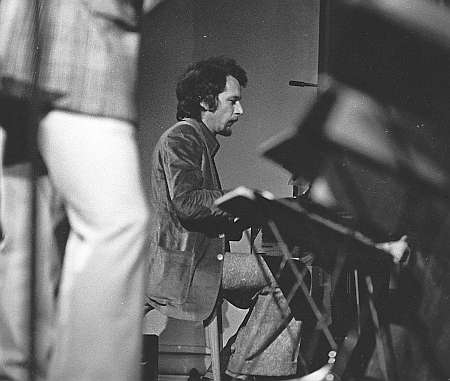 In 1970, Neuwirth was the pianist, arranger, and band leader of ‘Talente ’70’, a talent show broadcast by nationwide radio involving concerts in all states of Austria. Artists emerging from ‘Talente ’70’ included Marianne Mendt, Wilfried, and Christina Simon. In 1974, teaming up with co-arrangers Christian Kolonovits and Richard Oesterreicher, Neuwirth orchestrated pop artist Heinrich Walcher’s second LP, ‘Regenbogen’. In the world of theatre, between 1970 and 1987, he composed the musical accompaniment to some twenty-five productions staged at the Graz Theatre, including, ‘Die Reiter’, ‘Faust I’ and ‘Faust II’. His theatre compositions were also heard in Vienna’s Volkstheater and Theater in der Josefstadt. For one of his closest friends, playwright Wolfgang Bauer, Neuwirth worked on the piece ‘Memory Hotel’, composing and arranging the accompanying music, which was played entirely live on stage by the Grazer Jazz Academy’s Big Band. 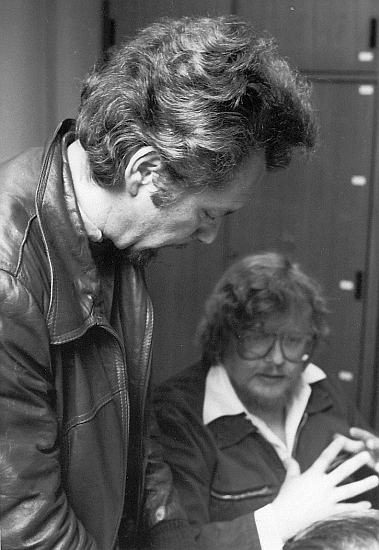 Meanwhile, in Graz, Fritz Körner had created a separate Institute for Jazz Theory in 1971, while the conservatoire’s Jazz Institute – the original academy – was placed under a new managing director: Dieter Glawischnig. In ’74, students of the academy rebelled against what they felt was a much too theoretical, Berklee oriented approach of the institute. Thereupon, in 1975, Glawischnig was replaced by Harald Neuwirth, who immediately set about modernizing the academy. He included listening practice and rhythm training into the curriculum, whilst jazz chamber music and jazz big band became obligatory elements for every student. Moreover, at Neuwirth’s instigation, the institute appointed the first-ever professorate in Europe for the subject of improvisation. Under Neuwirth’s leadership, the Jazz Institute in Graz developed into Europe’s first complete and independent jazz education including all possible levels of graduation. 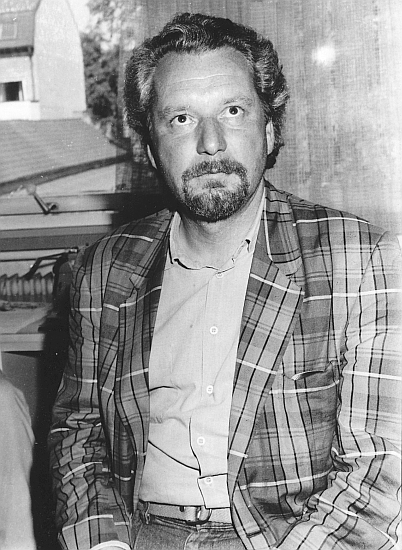 Under Neuwirth’s directorship, the Graz Music Academy at long last agreed to appointing professors for all instrumental subjects in 1981, including Harald Neuwirth himself at the subject of piano. When the ORF Big Band was disbanded in that same year, Neuwirth invited several of its members, including leader and trombonist Erich Kleinschuster and percussionist Erich Bachträgl, to come back to Graz and become professors in their respective subjects. 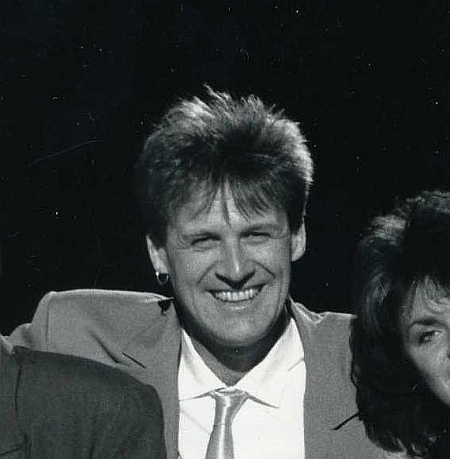 In 1982, all academy professors were invited for a special performance at the Science Ministry in Vienna for the much-respected Minister Hertha Firnberg. Feeling hemmed in by the board of the classical part of the academy, which time and again tried to block his initiatives, Harald Neuwirth withdrew as the Jazz Institute’s managing director in 1983. In the following nineteen years, he stayed on at the institute as the professor ordinarius at the subject of jazz piano. Simultaneously, he worked as a teacher of piano and music theory at the Kärntner Landeskonservatorium (Carinthia State Conservatoire) in Klagenfurt for several years from 1987 onwards, exporting the curriculum from Graz to the newly founded jazz department. 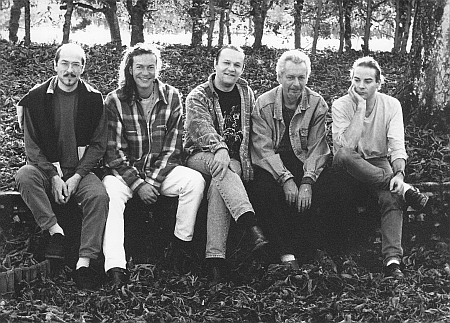 At the request of the Graz Jazz Academy, however, Neuwirth returned as the institute’s managing director in 2002. His second spell at the helm of the institute saw the music academy renamed into Kunstuniversität Graz (KUG), or in English: Graz University of Music and Performing Arts. Moreover, under Neuwirth’s supervision, a new reform of the study programme was accomplished, brushing away some of the last elements of inequality between the academy’s classical and jazz departments. He was also responsible for attracting several new teachers to the academy, including Ed Partyka for the subjects of jazz composition and arranging, Dina DeRose for singing, and Howard Curtis for percussion. Finally, Neuwirth retired as the institute’s director and piano professor at sixty-eight years of age in December 2007, having worked at the Graz Jazz Academy for forty-two consecutive years. Emeritus O. Univ. Prof. Dr. (iur.) Harald Neuwirth lives in Schwanberg, Styria. One of his children, Olga Neuwirth, studied music in San Francisco and Vienna and became a composer in her own right, specializing in avant-garde repertoire. Anyone watching the Eurovision Song Contest that evening could notice that the singer representing Austria was extremely nervous. 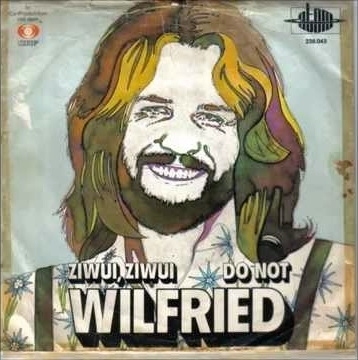 Wilfried’s vocal performance was plainly terrible. “He had been tense all week”, Neuwirth comments, “but when the big night was there and he saw this giant arena filled to the last seat, his nerves must have turned into outright fear. Wilfried has always been someone for a small stage, where he can charm the audience by his presentation. This large, commercial event was simply too much for him. When he started singing, of course he noticed it was not good… and then he started thinking – which, given his lack of singing technique, was not the best idea, as he then lost the last bit of his natural charm and, while forgetting to breathe, sang even worse. He added insult to injury by trying to look relaxed, leaning against the piano. He tried to act a singer. Even in this song, he could have put in more of his soul by leaving alone the rhythmical, typically German approach, replacing it with parlando, something he was really good at. I can safely say that was the worst performance in Wilfried’s career. Already during the song, I noticed it was not good. I had one of the ears of the headphones off, so I could listen to him while conducting the orchestra. I really felt for Wilfried. After the broadcast was over, I went with the rest of the band to a bar in Dublin, but, as you can imagine, the atmosphere was killed. 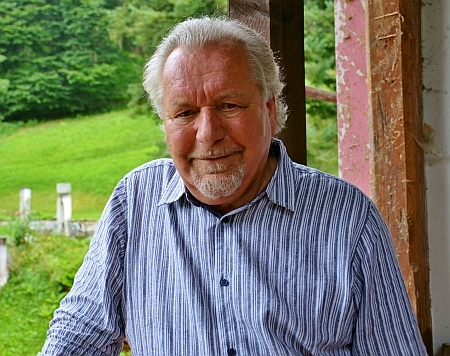 Bas Tukker interviewed Harald Neuwirth in Schwanberg (Styria / Steiermark, Austria), August 2015. Wolfgang Bauer, “Gelernter Zauberer”, in: Die Steirische, June 7th, 1990, pg. 12. Ronnie Herbolzheimer, “Ein Leben als Musiker, Lehrer und Überzeugungstäter”, in: Leibnitz Aktuell, 2004 (exact date unknown), pg. 20. Peter Vujica, “Revolte gegen die Theorie”, in: Kleine Zeitung (Graz), June 7th, 1974, pg. 19. (anonymous), “Harte Kleinarbeit am lockeren Schwing”, in: Neue Musikzeitung, September 8th, 1979. All photos courtesy of Harald Neuwirth.